Really don’t know why, but I really get such a lovely homely feel just catching a glimpse, or hint of the scent, of freshly growing herbs. Even on the dullest day just rubbing my fingers over, say, a Basil leaf brings back wonderful memories of lunches on sunny patios and glasses glistening with golden white wine. Ooh, I get so poetic sometimes ! Our herbs are all around the kitchen windowsills, jostling for space with the chilli and salad gardens. As with all of our kitchen gardens, our herbs are grown in our organic coir mix, well over 11 litres when they are in the bio troughs. Mind you, you can also get our herbs in kitchen ‘baskets‘. Same herbs, but just a little smaller so they take up less room. The herbs are normally ready for cutting, but you may have to let them grow up a bit after you receive them. Keep them gently watered, but do stand them on a ‘wipe downable ’ surface, again, tiles would be ideal. 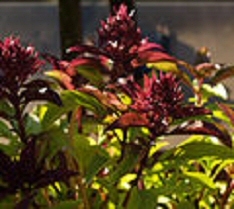 This small-leaved, purple stemmed plant is great for the windowsill with it’s purplish flower buds and sweet basil scent. This herb’s subtle liquorice flavour is a perfect addition to any seafood dish, spicy salad or chilli dip. The flower buds are also edible, and taste as good as they look. 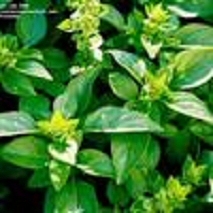 This is the basil we all know and love, used mostly in Italian and Mediterranean cooking and as a natural partner to tomatoes. These completely green plant’s leaves have a warm peppery flavour for any occasion and of course are essential for pesto sauce. This perfectly spherical bush leaves have no need of pruning, but with this herb’s taste you won’t be able to stop yourself ! The little thin leaves emit a deliciously clove-like scent and go great with aubergines and salads or even used as a refreshing tea. 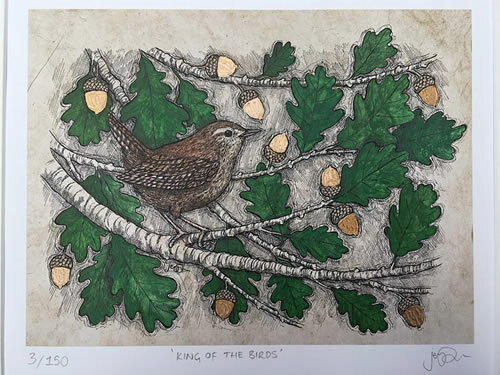 The seed can be added to bread dough as flavouring or just eaten on its own. This delicate, aromatic little herb grows quickly on a windowsill, and has a more delicate flavour than winter savory. A fantastic addition to bean, pea and lentil recipes, this plant will tempt you to eat more healthily. It’s pink ( well pinkish ) tubular flowers look really lovely as well. 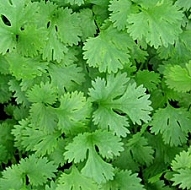 A thin, delicate plant with a fine, flat leaf, this herb’s strong, earthy flavour goes beautifully with most Asian, Indian and Latin American dishes. One of the world’s favourite herbs it’s fresh, citrus taste is best added to dishes just before serving to get the full flavour. 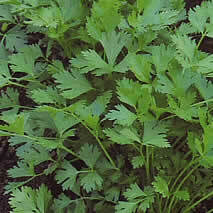 Growing from purple to green with small white flowers, this herb is often used to season mild-flavoured dishes. 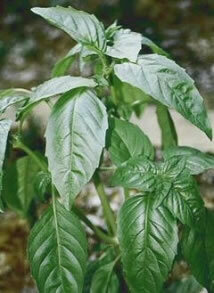 Its faint taste of liquorice is great with poultry, seafood and young vegetables. It’s particularly popular in France, where it is added to omelettes, salads and soups. With slender stems and soft, delicate leaves the flowers on this herb slowly change from white to yellow. 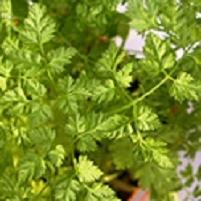 This herb is best used fresh because it loses flavour quickly when dried, but is a brilliant partner for fish, soups and pickles. 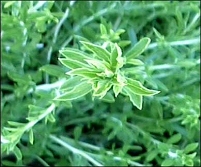 A vigorous, aromatic plant with bright green plain leaves. 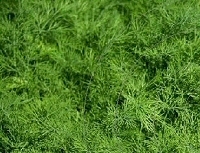 Another herb fantastic with fish and soup but is really good at making sauces scrumptious. Some people say the flavour comes between celery and parsley. We will put four freshly grown herbs into each trough or basket. Please let me know what you would like, but hope you will let me swap around a bit if some are not quite ready. As always, postage is a real pain, that’s why we can offer two troughs or baskets at less than double the price.